To increase ventilation I decide to add a bottom entrance. 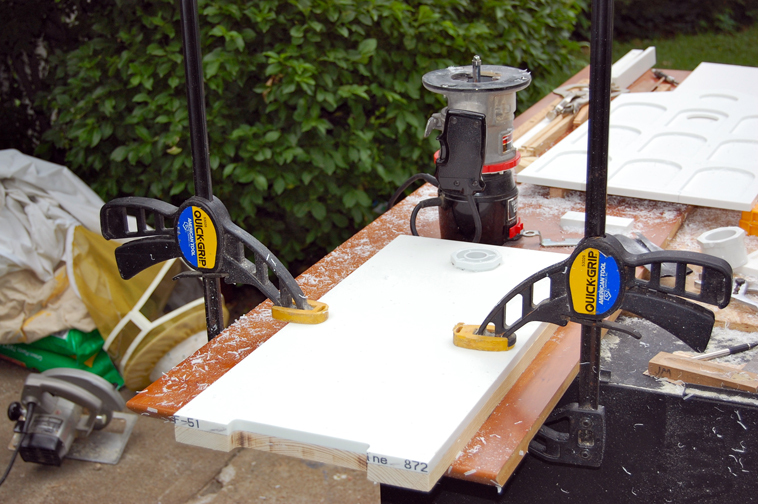 Here I am using a router and jig to cut this from the inner wood wall. I am using wood for the interior because it will not cause as much condensation to form in the warm humid environment of the hive. 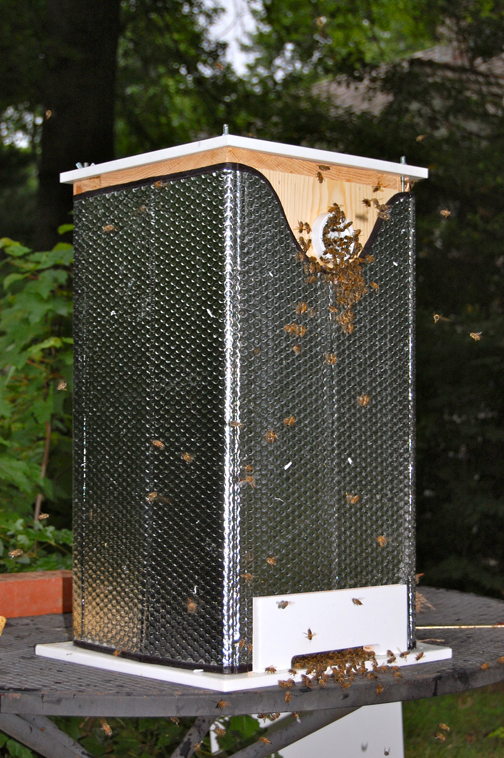 Good ventilation and nice dry wood will make a bee friendly environment. For extra insulation, in addition to the air gap, I include a layer made of reflective foil.